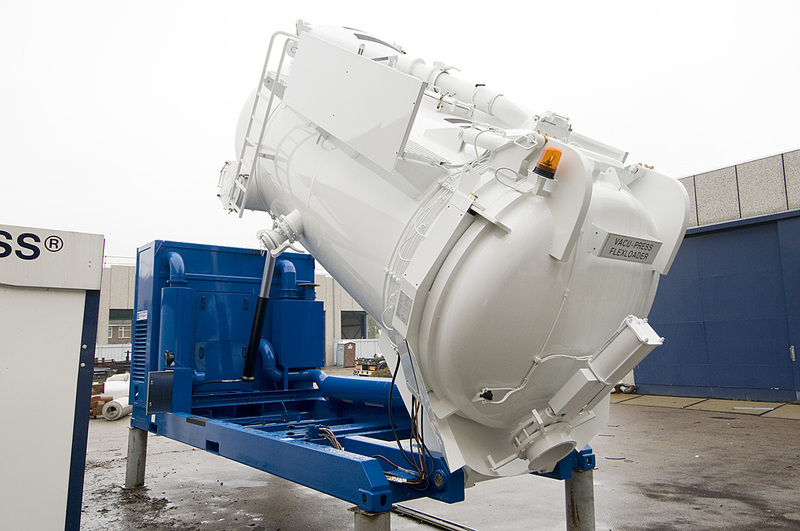 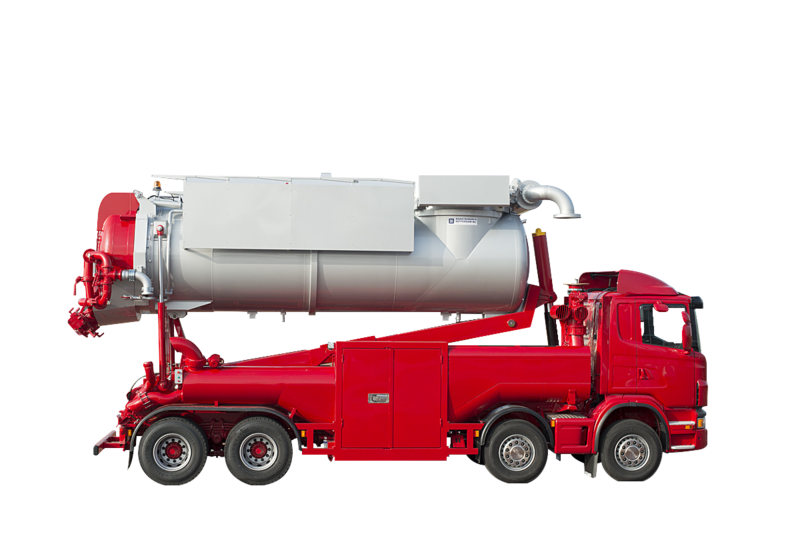 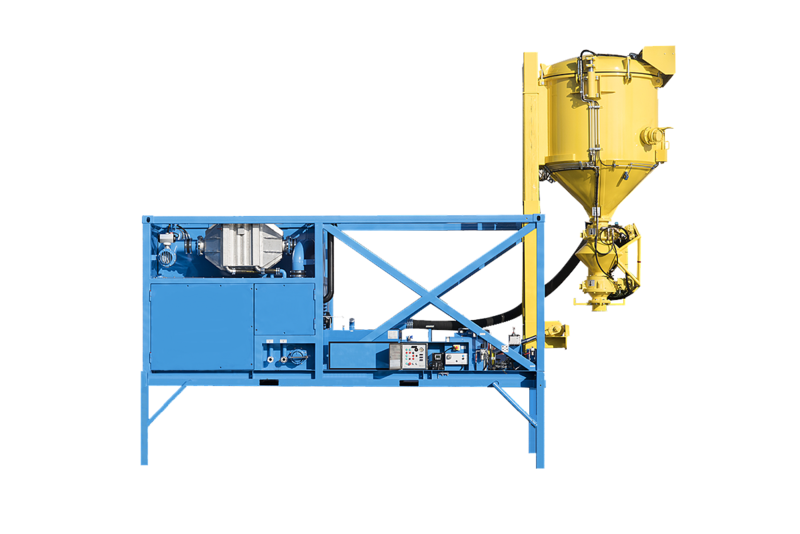 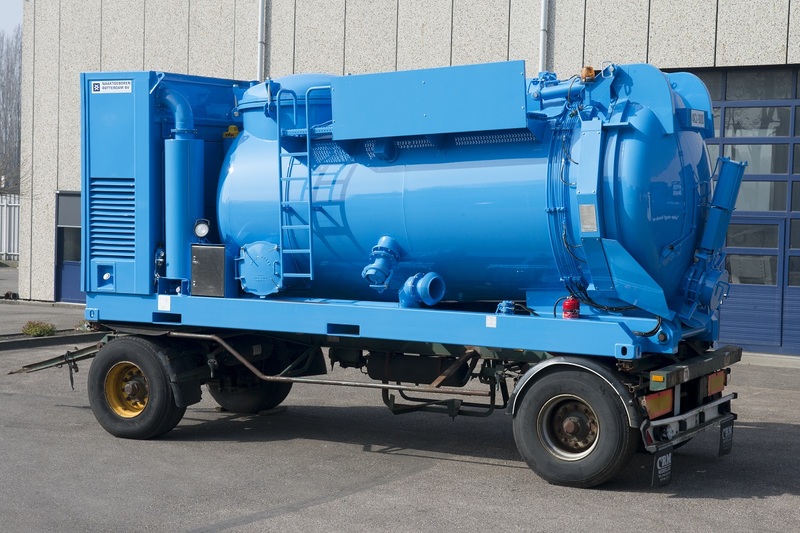 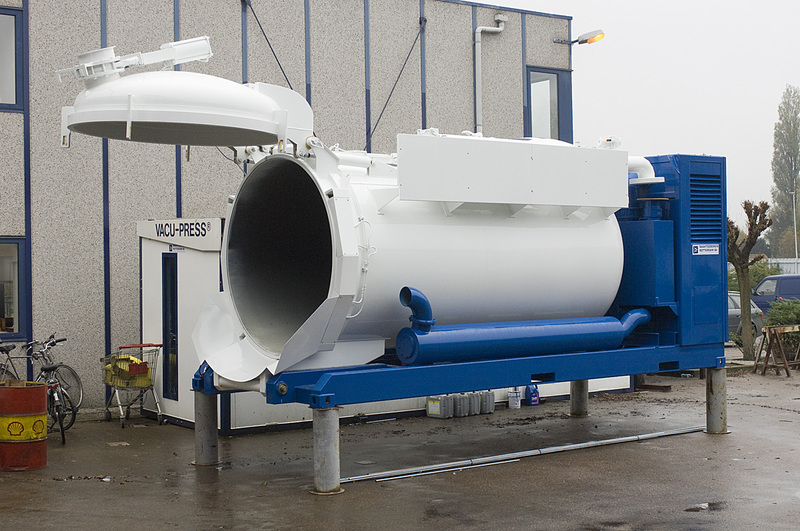 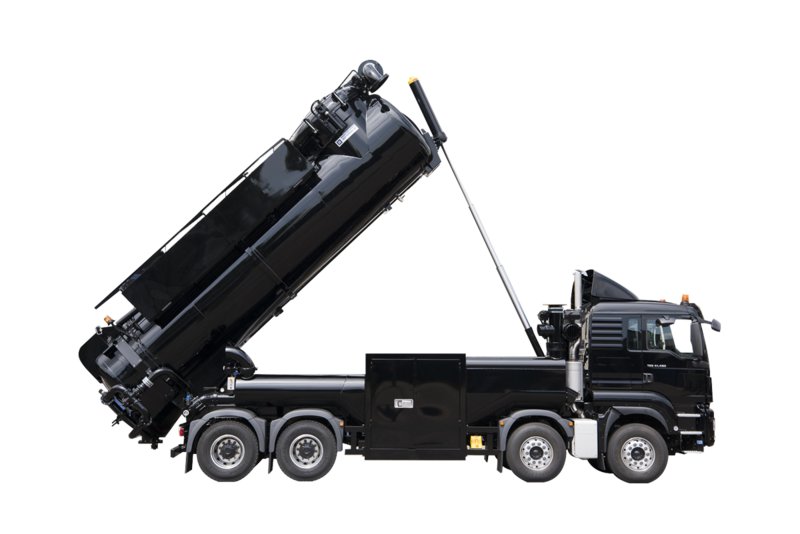 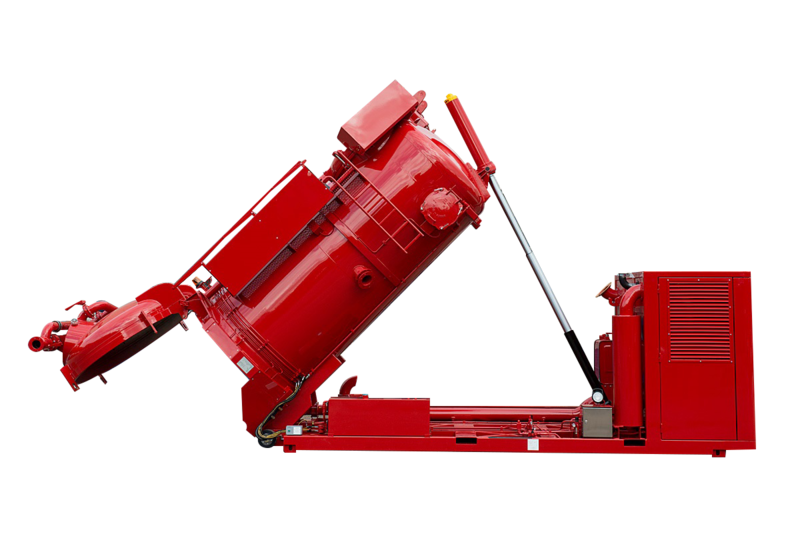 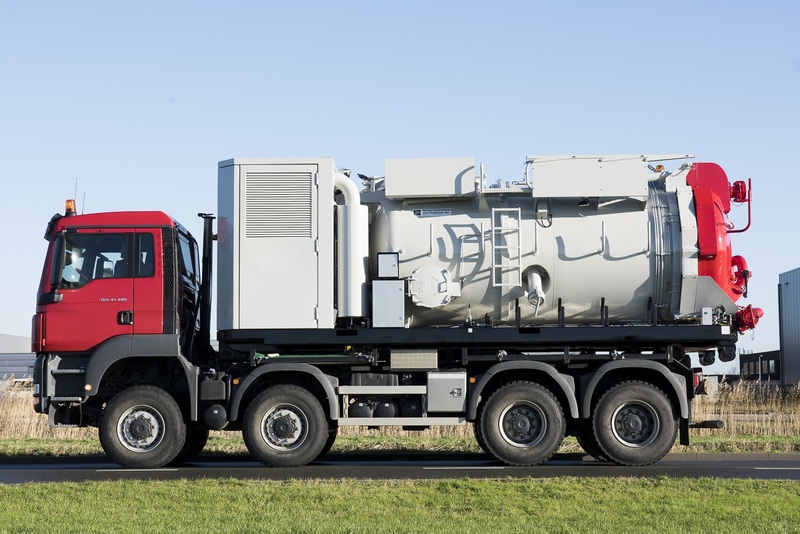 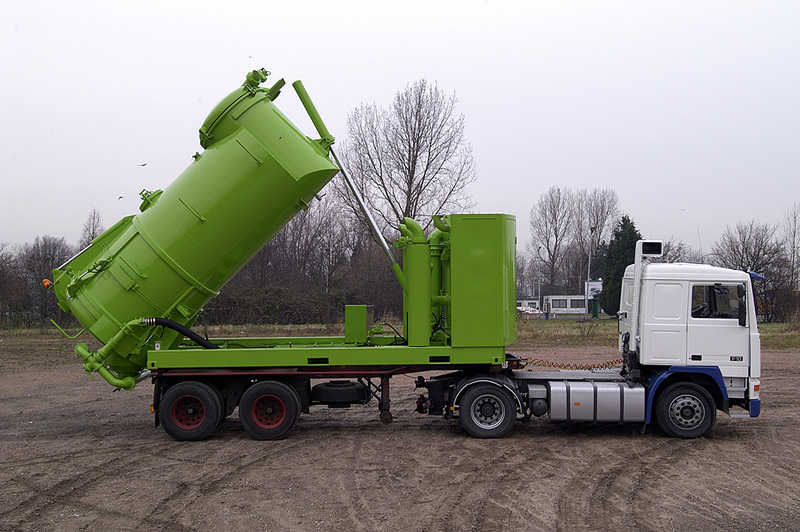 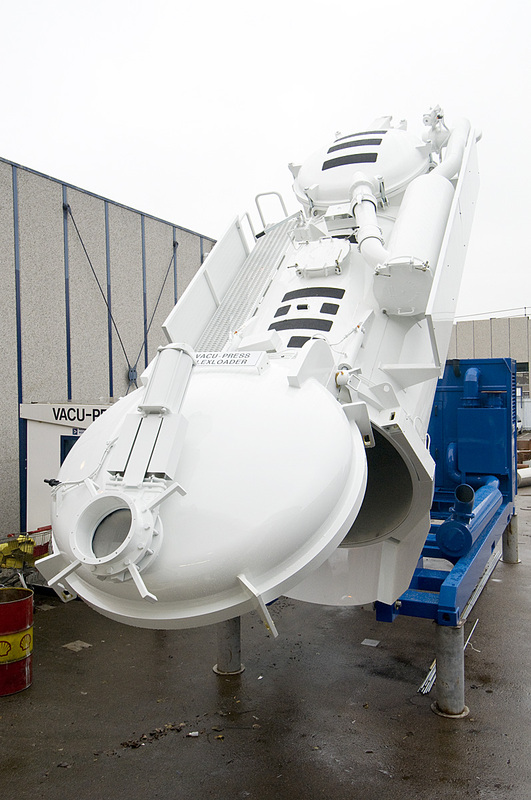 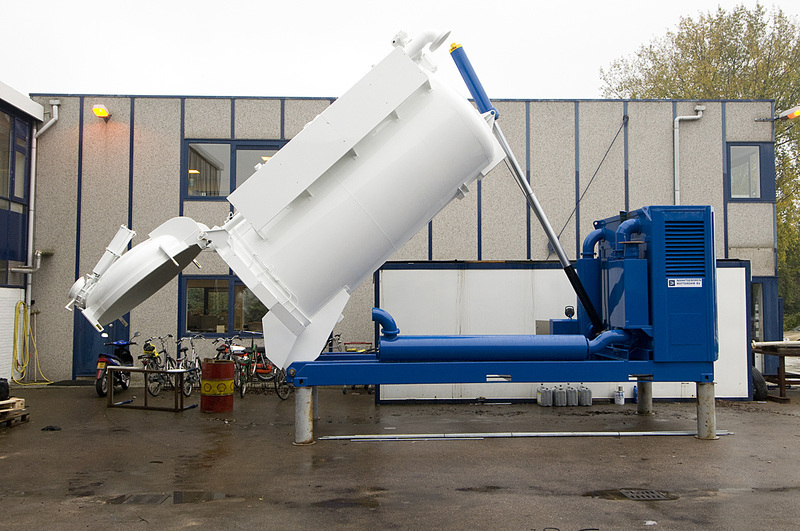 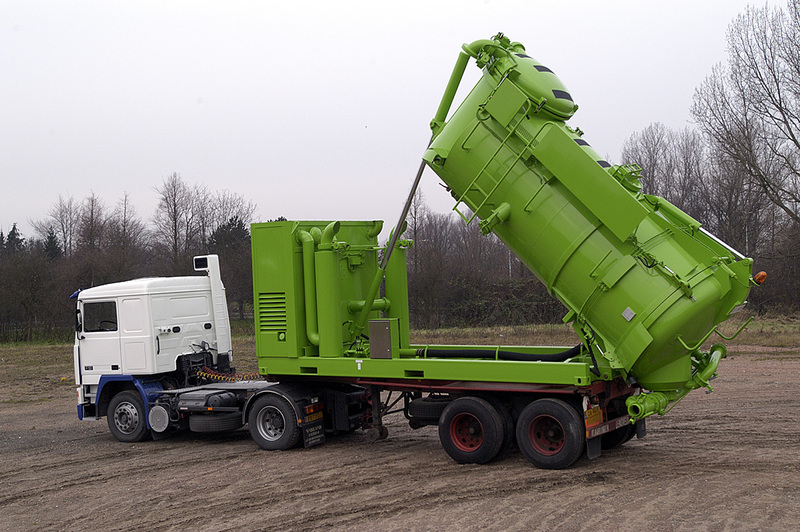 The Vacu-Press Flexloader 9000 is an industrial pressure/vacuum installation suitable for the suction and blowing of dry and wet material. 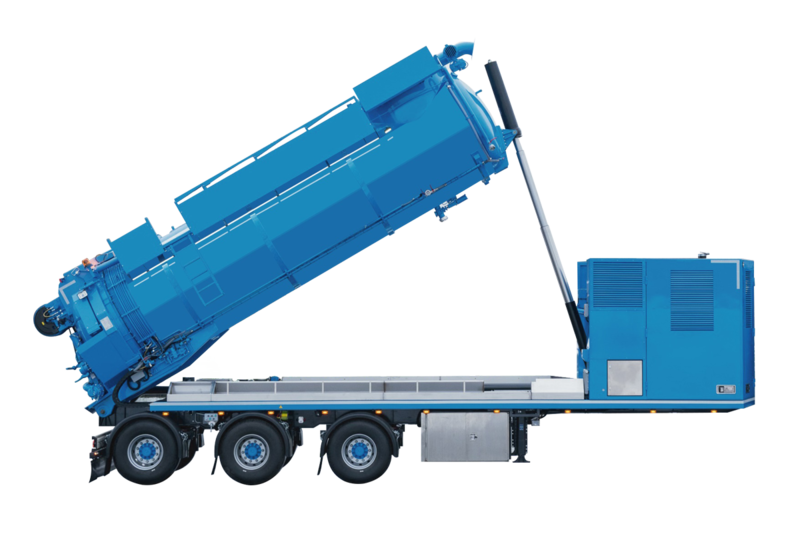 This installation is built on a 20 ft. ISO container frame and can easily be placed on a truck container chassis with a hook arm or through a cable system. 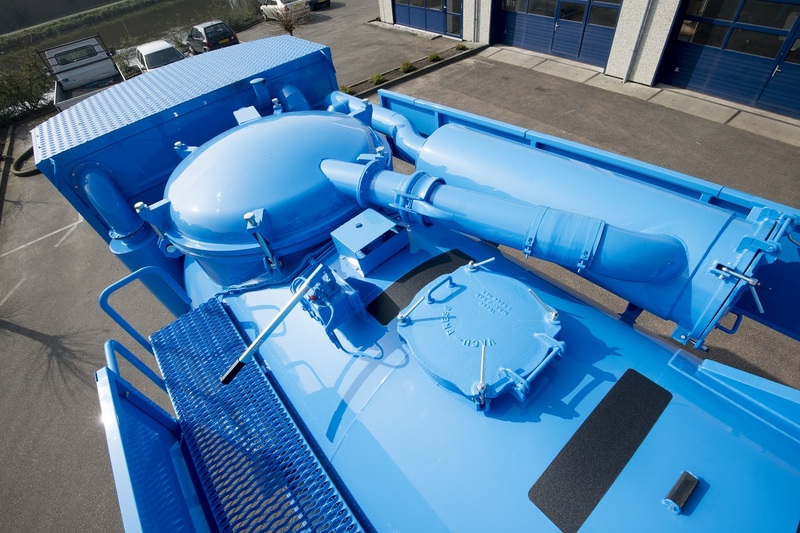 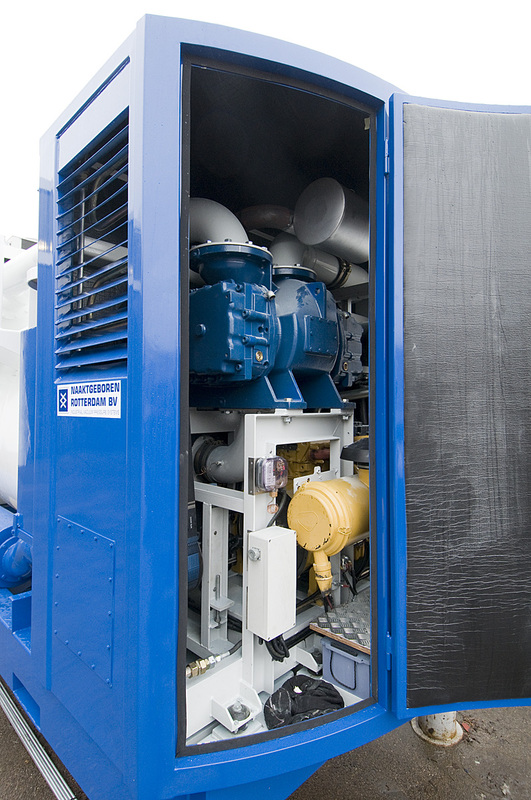 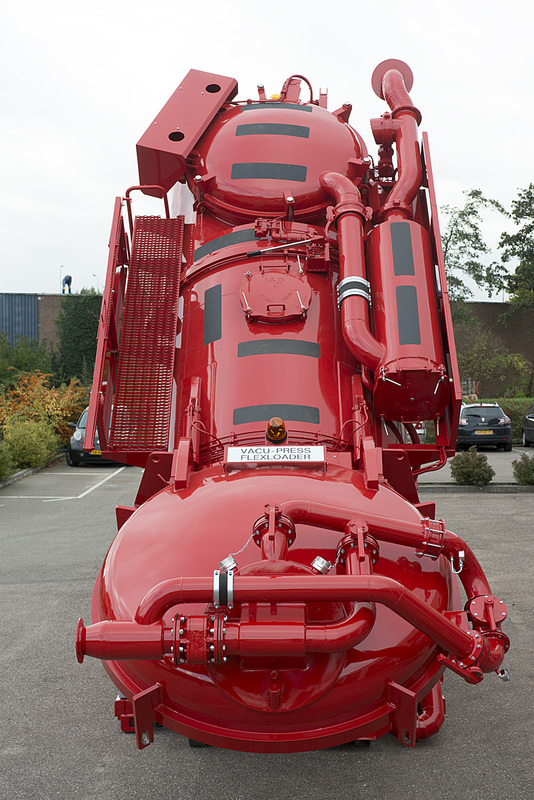 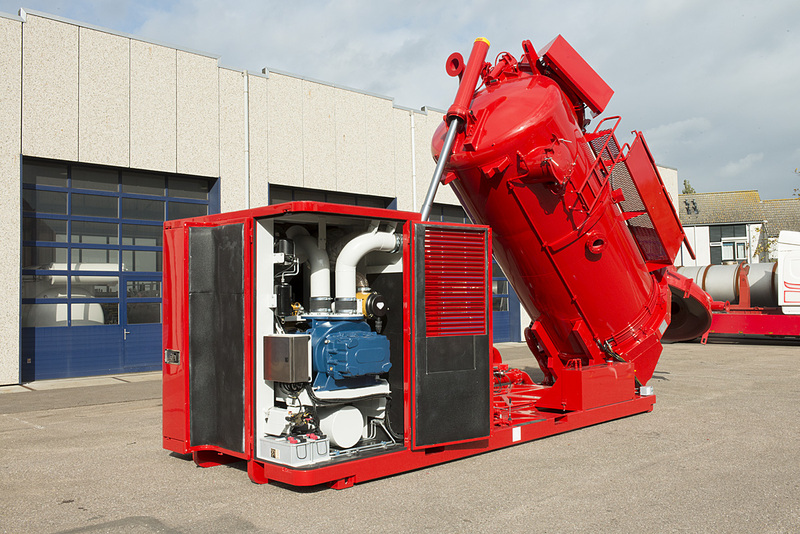 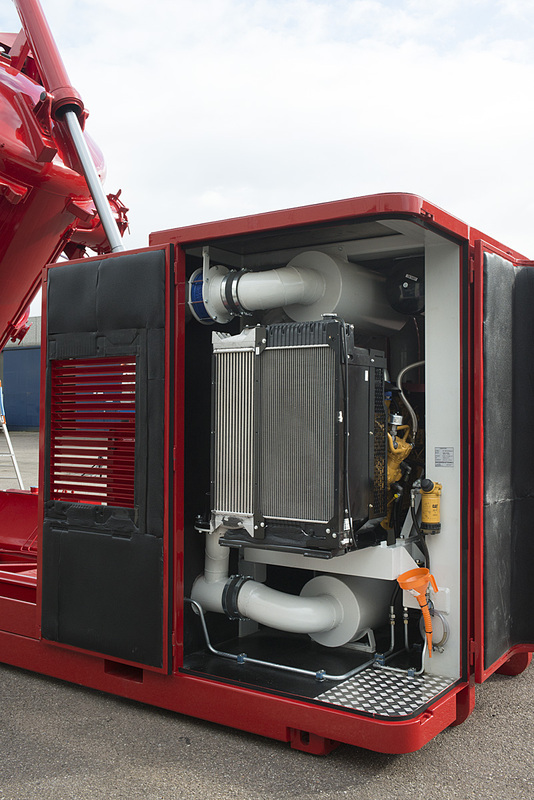 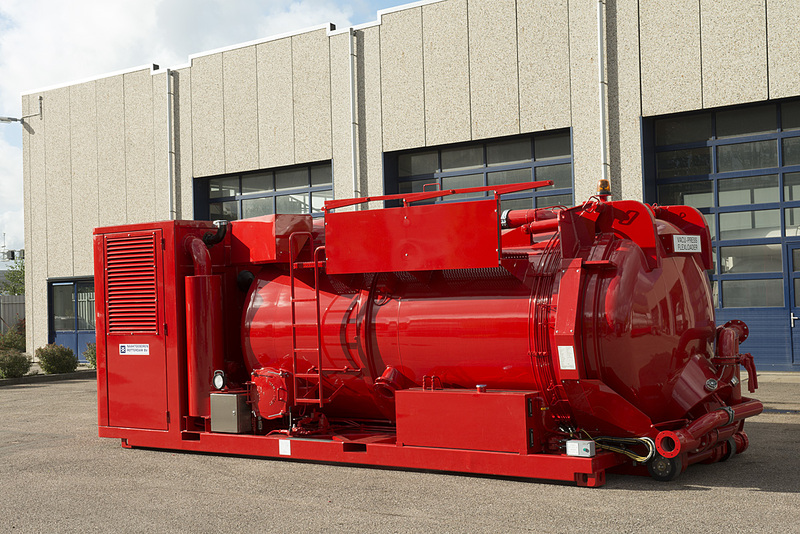 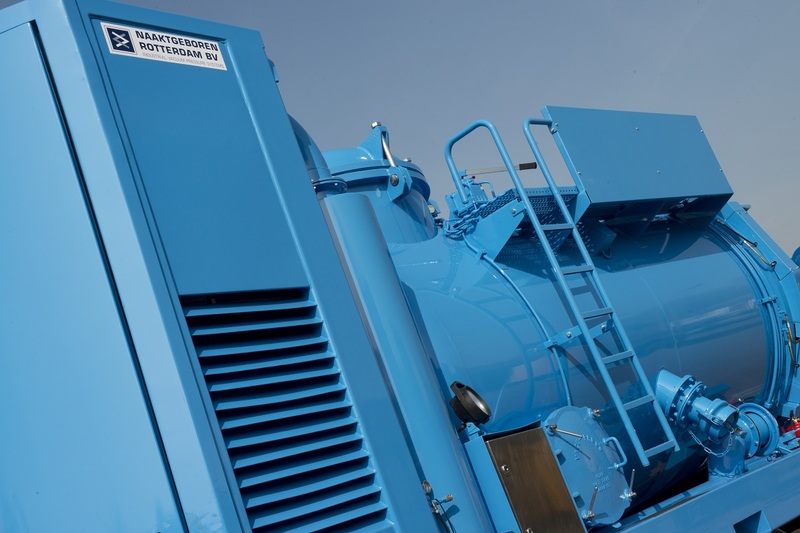 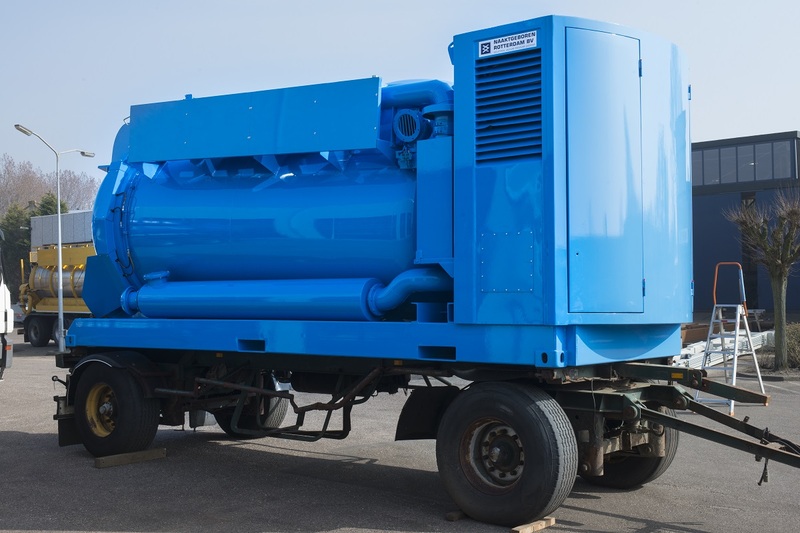 The six cylinder Caterpillar engine drives an Aerzen high vacuum roots blower with a capacity of 9000 m³/hour. 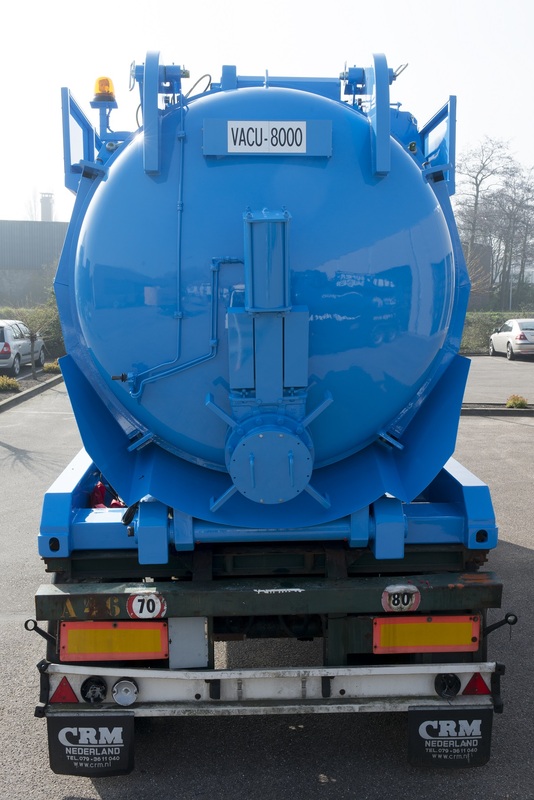 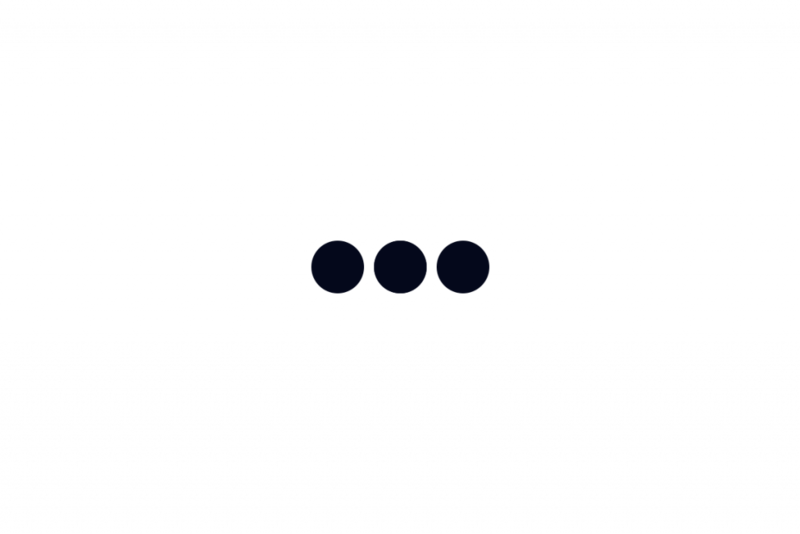 The maximum vacuum is 90 % and the maximum overpressure is 1 bar. 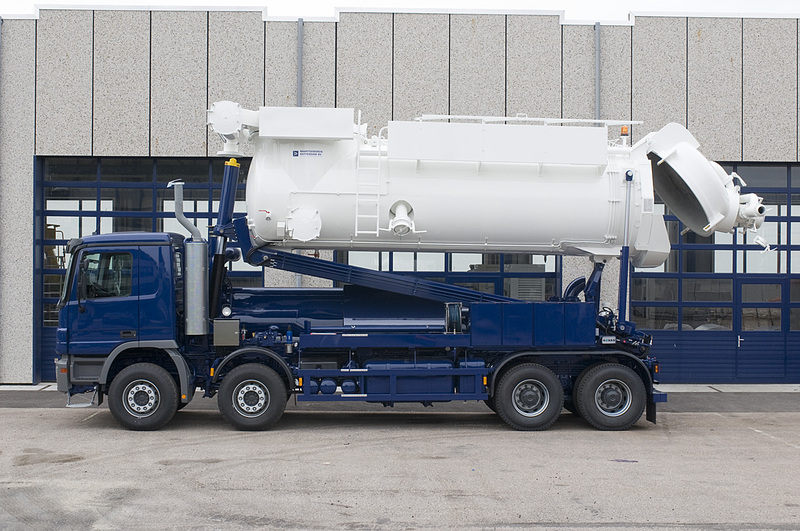 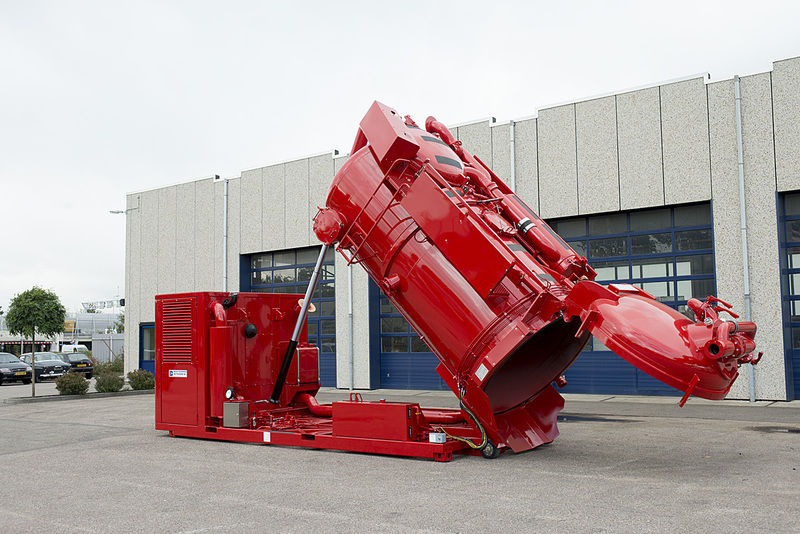 The nett volume of the Flexloader is 12 m³.